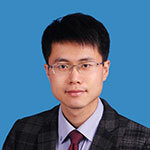 Gao Dapeng, assistant professor of the Institute of Mechanics of the Chinese Academy of Sciences, graduated from Peking University with a major in geology. He is mainly engaged in research on porous media flow mechanics and oil/gas development. He has received funding from the National Natural Science Youth Fund and the China Petroleum Science and Technology Innovation Fund and achieved the first prize of technical innovation of the Petroleum Exploration and Development Research Institute and other awards. He has published more than 20 papers indexed by SCI/EI and applied for six national invention patents.